All 3rd, 4th and 5th grade students at Cedar Mill Elementary can explore the world through a program called The Passport Club. This is an enrichment program, which the Cedar Mill PTC funds and supports. Each child receives a passport, chooses an individual level of study and collects “stamps” for the passport as she/he learns some or all of the world’s countries over the course of the school year. Each month a study map will come home with your student. Your student then studies the map at home up to whatever level she/he would like to test for. On test day, teachers bring their classes to the cafeteria where each student is tested by a trained volunteer. Please see The Passport Club website at www.passportclubonline.com to learn more about the program and access resources to support your child at home. 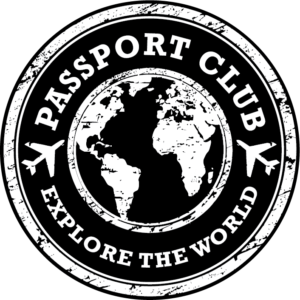 The Passport Club also has several resources on its Pinterest and Facebook sites. I want to volunteer. How do I sign up? Volunteers play a vital role in the success of The Passport Club. Please visit www.myvolunteerpage.com to view volunteer opportunities and sign up to help. We will need 10 passport check testers for each check day. No prior experience is necessary, and a brief instruction will be provided for volunteers at the start of the volunteer shift. If you are not available to volunteer on check days, but are still interested in helping, please contact the coordinator directly. There may be other opportunities to help.